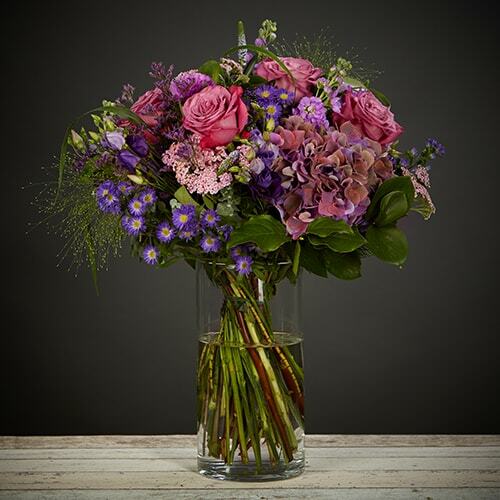 A divine combination of muted mauves, vibrant purples and soft lilac shades inspire a real vintage feel. 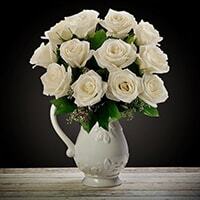 Featuring roses, veronica, september flowers and bunches of hydrangea, this bouquet is perfect for any occasion. 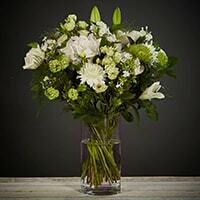 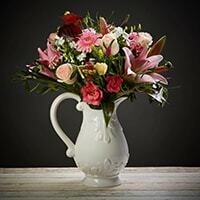 So whether is a thank-you gift, a romantic occasion or a birthday, this bouquet is sure to please.